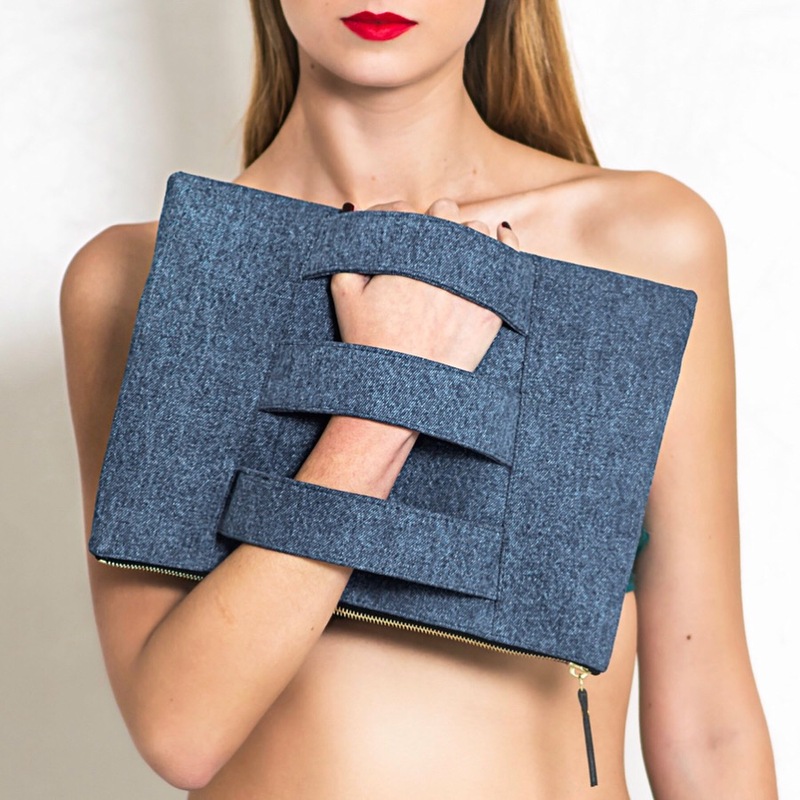 Stunning pouch style clutch with our signature armlet straps. Made from an upcycled pair of unwanted denim jeans and trimmed with microfiber. Features a denim pocket on the back and internal zip pocket. Perfect to wear everyday as it is or can be customised with your own patches and pins. Please note that the colour of denim varies from each piece.